The losing performance of F-15Cs in simulated air-to-air combat against the Indian air force this year is being perceived by some, both in the U.S. and overseas, as a weakening of American capabilities, and it is generating taunts from within the competitive U.S. fighter community. The Cope India exercise also seemingly shocked some in Congress and the Pentagon who used the event to renew the call for modernizing the U.S. fighter force with stealthy F/A-22s and F-35 Joint Strike Fighters. The reasons for the drubbing have gone largely unexplained and been misunderstood, according to those based here with the 3rd Wing who participated. Two major factors stand out: None of the six 3rd Wing F-15Cs was equipped with the newest long-range, active electronically scanned array (AESA) radars. These Raytheon APG-63(V)2 radars were designed to find small and stealthy targets. At India's request, the U.S. agreed to mock combat at 3-to-1 odds and without the use of simulated long-range, radar-guided AIM-120 Amraams that even the odds with beyond-visual-range kills. These same U.S. participants say the Indian pilots showed innovation and flexibility in their tactics. They also admit that they came into the exercise underrating the training and tactics of the pilots they faced. Instead of typical Cold War-style, ground-controlled interceptions, the Indians varied aircraft mixes, altitudes and formations. Indian air force planners never reinforced failure or repeated tactics that the U.S. easily repelled. Moreover, the IAF's airborne commanders changed tactics as opportunities arose. Nor did U.S. pilots believe they faced only India's top guns. Instead, they said that at least in some units they faced a mix of experienced and relatively new Indian fighter and strike pilots. 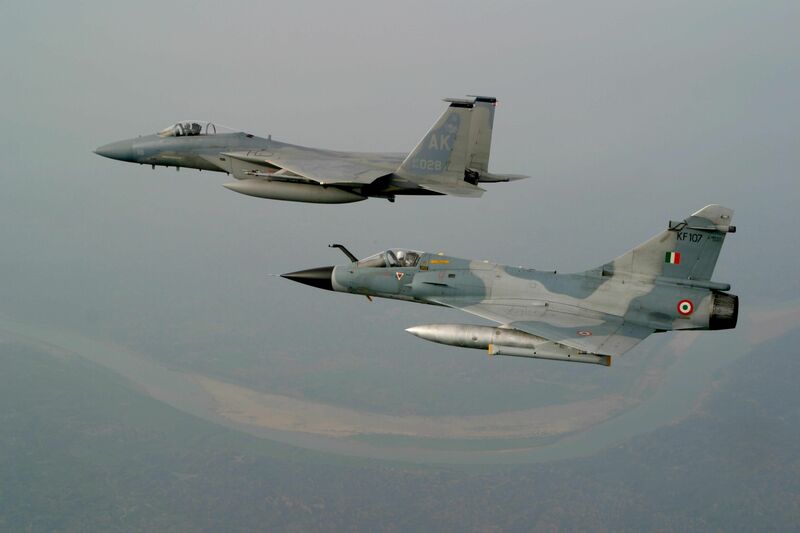 USAF F-15 formates with an IAF Mirage-2000H [KF107]. The Mirages were then freshly upgraded with IFR probes. On the Mirage's port wing one can see a French Remora ECM pod. Maj. Mark A. Snowden, the 3rd Wing's chief of air-to-air tactics and a participant in Cope India, spoke for the 13 U.S. pilots who attended the exercise. They flew six F-15Cs, each equipped with a fighter data link for rapid exchange of target information, AIM-9Xs and a Joint Helmet-Mounted Cueing System, he says. The aircraft had been to Singapore for another exercise and for the long, six-week jaunt it was decided not to bring along the additional maintenance package needed to support AESA-equipped F-15Cs. Cope India was held Feb. 15-28 at Gwalior, about 150 mi. 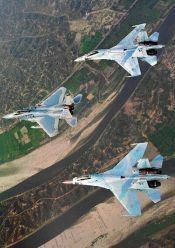 south of Delhi, where the Indian air force has its Tactics Air Combat Development Establishment, which operates late-model MiG-21 Fishbeds as fighter escorts and MiG-27 Floggers as strike aircraft. Aerospace officials who have heard the classified brief on the exercise say the MiG-21s were equipped with a "gray-market" Bison radar and avionics upgrade. Mica-armed Dassault Mirages 2000s are also stationed there. Brought in for the exercise were Sukhoi Su-30s (but not the newest Su-30 MKIs) carrying simulated AA-11s and AA-12 Adders. There also were five MiG-29 Flankers involved in a peripheral role and an Antonov An-32 Cline as a simulated AWACS. 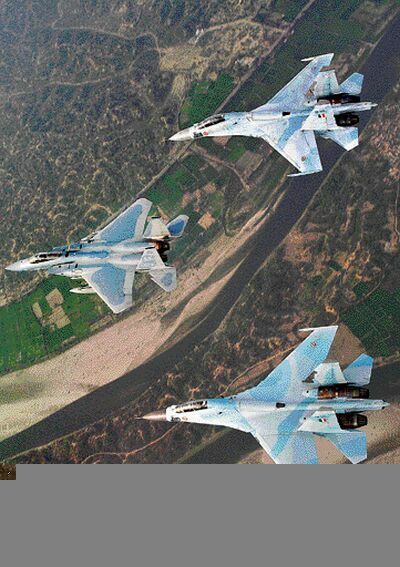 Indian MiG-27ML Flogger fighter performed the strike duty throughout the exercises. Closer to the camera is TS631, loaded out with the a powerful EW pod supplied by Elta of Israel. "The outcome of the exercise boils down to [the fact that] they ran tactics that were more advanced than we expected," Snowden says. "India had developed its own air tactics somewhat in a vacuum. They had done some training with the French that we knew about, but we did not expect them to be a very well-trained air force. That was silly. "They could come up with a game plan, but if it wasn't working they would call an audible and change [tactics in flight]," he says. "They made good decisions about when to bring their strikers in. The MiG-21s would be embedded with a Flogger for integral protection.  There was a data link between the Flankers that was used to pass information. [Using all their assets,] they built a very good [radar] picture of what we were doing and were able to make good decisions about when to roll [their aircraft] in and out." Aerospace industry officials say there's some indication that the MiG-21s also may have been getting a data feed from other airborne radars that gave them improved situational awareness of the airborne picture. 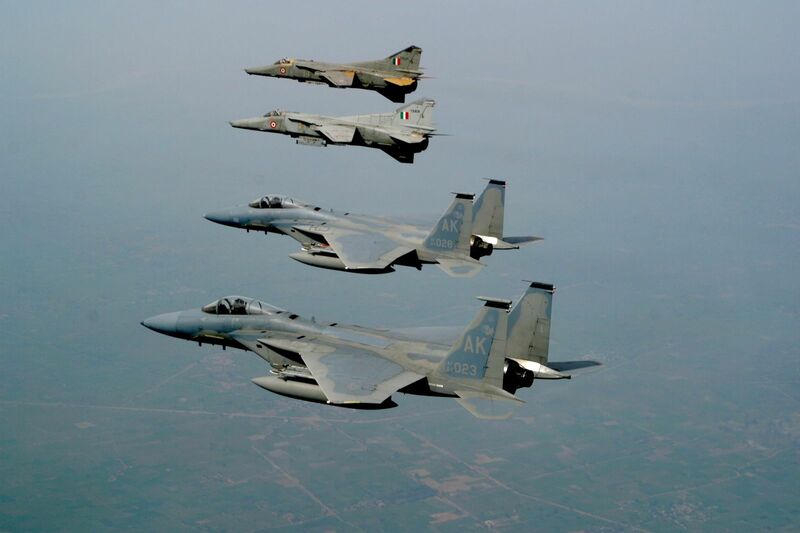 Generally the combat scenario was to have four F-15s flying at any time against about 12 Indian aircraft. While the U.S. pilots normally train to four versus 12, that takes into account at least two of the U.S. aircraft having AESA radar and being able to make the first, beyond-visual-range shots. For the exercise, both sides restricted long-range shots. "That's what the Indians wanted to do," Snowden says. "That [handicap] really benefits a numerically superior force because you can't whittle away some of their force at long range. They were simulating active missiles [including] AA-12s." This means the missile has its own radar transmitter and doesn't depend on the launch aircraft's radar after launch. With the older AA-10 Alamo, the launching fighter has to keep its target illuminated with radar so the U.S. pilots would know when they were being targeted. But with the AA-12, they didn't know if they had been targeted. The Mirage 2000s carried the active Mica missile. Aerospace industry officials said that some of the radars the U.S. pilots encountered, including that of the Mirage 2000s, exhibited different characteristics than those on standard versions of the aircraft. The U.S. pilots used no active missiles, and the AIM-120 Amraam capability was limited to a 20-naut.-mi. range while keeping the target illuminated when attacking and 18 naut. mi. when defending, as were all the missiles in the exercise. "When we saw that they were a more professional air force, we realized that within the constraints of the exercise we were going to have a very difficult time," Snowden says. "In general, it looked like they ran a broad spectrum of tactics and they were adaptive. They would analyze what we were doing and then try something else. They weren't afraid to bring the strikers in high or low. They would move them around so that we could never anticipate from day to day what we were going to see." 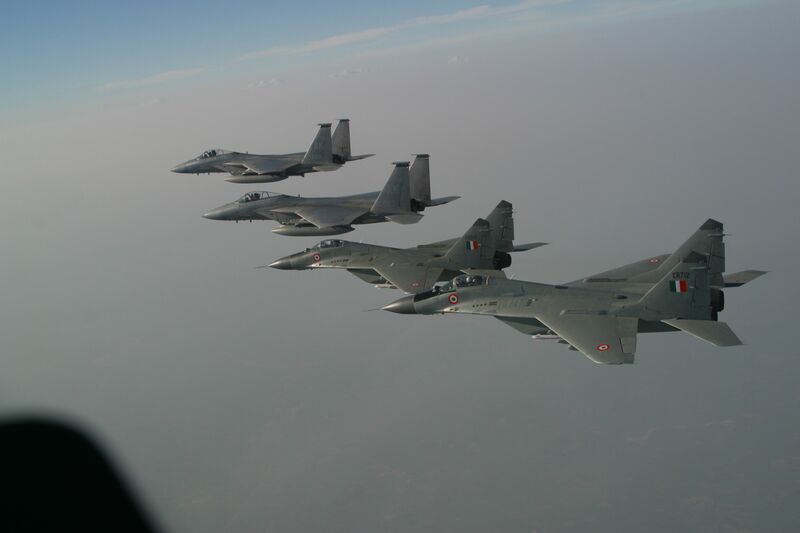 The IAF did not fly its top-end Su-30MKI aircrafts, instead the older un-upgraded Su-30MKs and Su-30Ks of the 24 Sqn, such as these. Compare the relative size of the aircraft! By comparison, the U.S. pilots don't think they offered the Indians any surprises. The initial tactic is to run a wall with all four F-15s up front. That plays well when the long-range missiles and AESA radar are in play. "You know we're there and we're not hiding," Snowden says. "But we didn't have the beyond-visual-range shot or the numerical advantage. Eventually we were just worn down by the numbers. They were very smart about it. Their goal was to get to a target area, engage the target and then withdraw without prolonging the fight. If there were a couple of Eagles still alive away from the target area, they would keep them pinned in, get done with the target and then egress with all their forces. "All their aircraft seemed to be capable of breaking out [targets] and shooting at the ranges the exercise allowed," he says. "We generally don't train to an active missile threat [like the Mirage's Mica or the AA-12 for the Russian-built aircraft], and that was one of the things that caused us some problems." USAF planners here see Cope India as the first step in an annual series of exchange exercises.